Welcome back to the Appliance Champion blog! 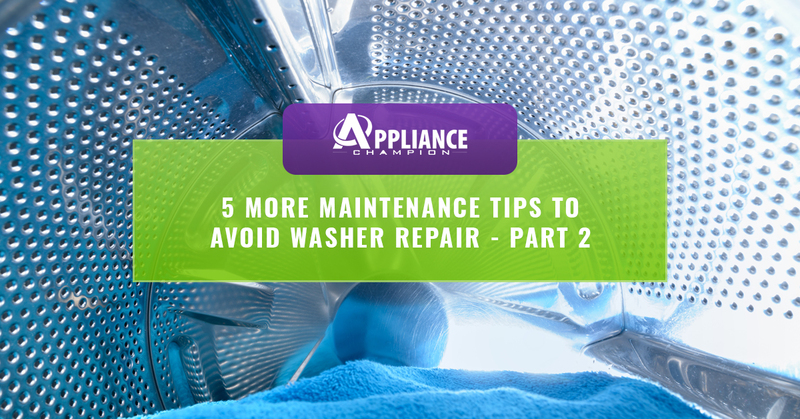 In our last blog post, we gave you five maintenance tips to help you prolong the life of your washer and to avoid having to call for washing machine repair. Read part one to catch up and be sure to visit the Appliance Champion website right away if your washer is in need of some TLC. We offer Top Rated Local® appliance repair to Grapevine, Southlake & Keller and beyond in the Dallas-Fort Worth area. 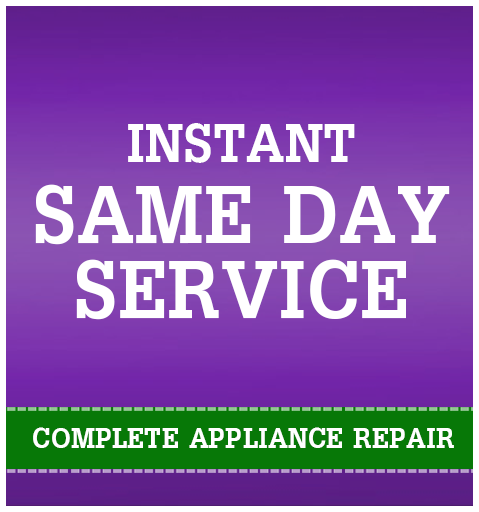 Call us today for washing machine repair you can count on! It’s easy to just throw some detergent into the washer and hope for the best. However, detergent residue can be quite hard on your washer’s interior and parts. Be sure to follow the manufacturer’s recommendations for detergent type and amount to use. If you have a front-loading washer, you may be all too familiar with the stink of mildew. Unfortunately, with front-loading washers, it is easy for water to get trapped on the door and gasket and start to smell. Wipe down the door and interior regularly. As we mentioned in our previous blog, you need to clean your washer’s interior every few months. Cleaning the interior includes cleaning the dispensers. When you wipe them out, use a vinegar, baking soda, and hot water solution to make sure you get them extra clean. Adding a drip pan under your washer can save you a headache in the future. If your water supply hoses crack or there is another place where your washer starts to leak, a drip pan will catch the water before it can affect your floors. If your washer is on a top floor, adding a drip pan is extremely important. Transfering wet clothes to your dryer as soon as the load is done will help you avoid mildew and mold building up in your washer and on your freshly washed clothes. If you forget to check on your clothes in the washer, set an alarm on your phone to help you remember to transfer your clothes and get your laundry done as soon as possible! We decided to throw in one extra tip, because why not! To avoid mildew and other nasty build up, prop your washer’s door open. The fresh air will allow your washer to remain fresh and will lessen the chances of mold or mildew developing. If your washer begins to leak, is making weird noises, or is showing an error code, it may be time to call the professionals. It might be tempting to try and fix it yourself — don’t! Anyone attempting to fix your washer who is not factory-certified will void your warranty and cause more damage. Always call your local Dallas-Fort Worth washing machine repair and appliance repair specialists at Appliance Champion! We provide service to Grapevine, Southlake & Keller and beyond — call today for a same day appointment!